This building is a significant part of historic downtown Decorah and it currently serves as the main museum building within the Vesterheim complex. MMY provided a detailed condition assessment of the existing 1887 structure and its two later additions.We are currently assisting the architect on developing a new master plan for the museum. 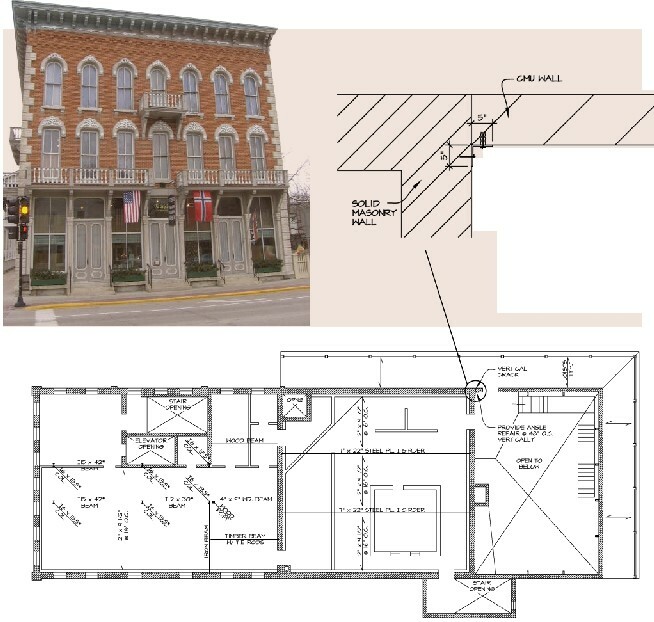 MMY’s future role in this project is to suggest the method of repair for damaged areas, determine building code compliance for its proposed new use, and design the structural modifications required in order to implement the architect’s plan for the historic structure.